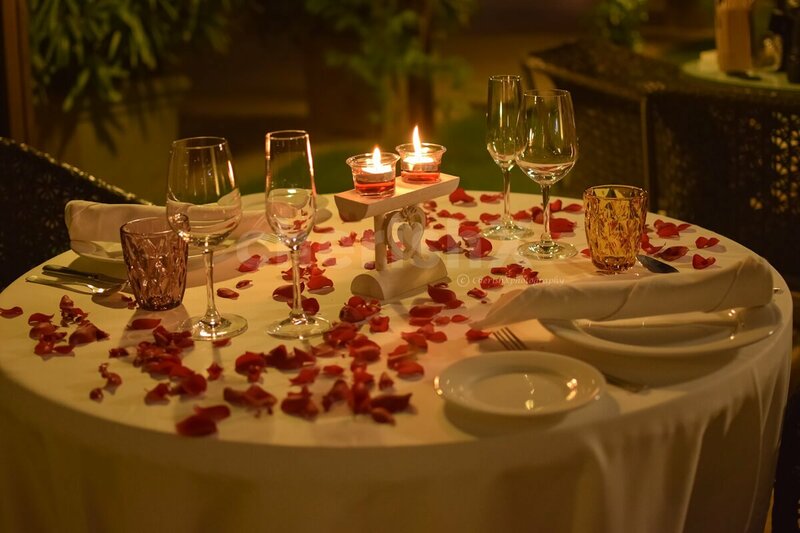 Spice up you romance with an outdoor dinner date! Sometimes indoor dinners can get pretty boring and you just need something fresh and different. 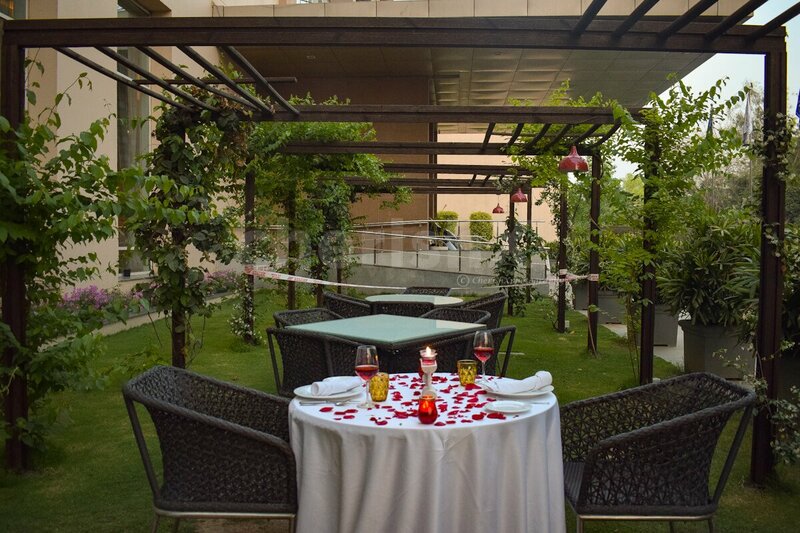 So, here's an amazing outdoor dining experience that will bring that much needed freshness.Reconnect with your partner as you dine on some mouth-watering food in the open, surrounded by green plants. Feel the cold grass under your feet as you sit on the beautifully decorated table. You will be welcomed with refreshing mocktails. 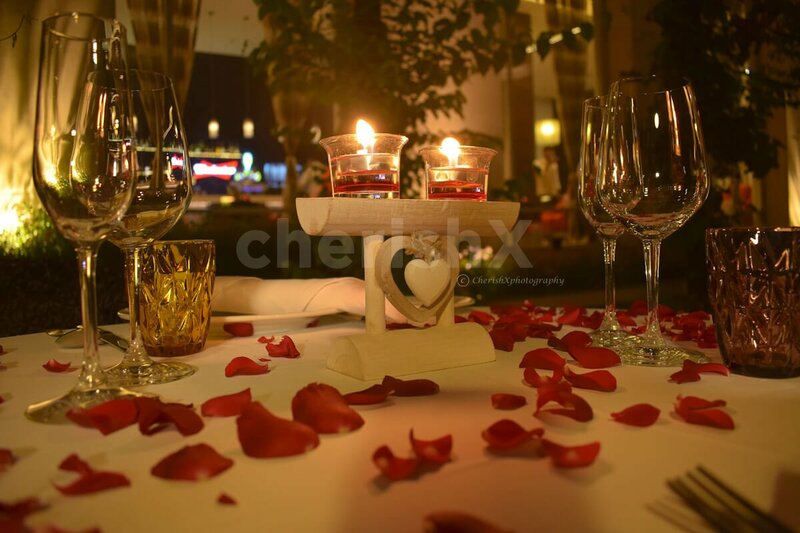 As you sway and lose yourself to the ambient music, your delicious 3-course meal will be served which consists of 2 starters, 2 mains, and 2 desserts. For a luxurious experience, a private butler will provide you with hospitable service. 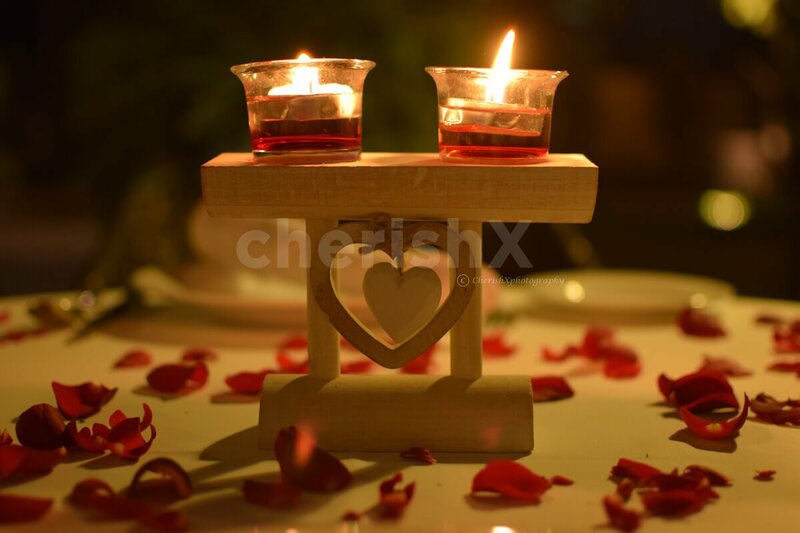 Celebrate your anniversary or take your bae on this unique outdoor dining experience and have a splended time. Welcome mocktail drinks for two. 3 course meal (veg/ non-veg) - 2 starters , 2 mains , 2 desserts. Alcoholic beverages are available at the venue.